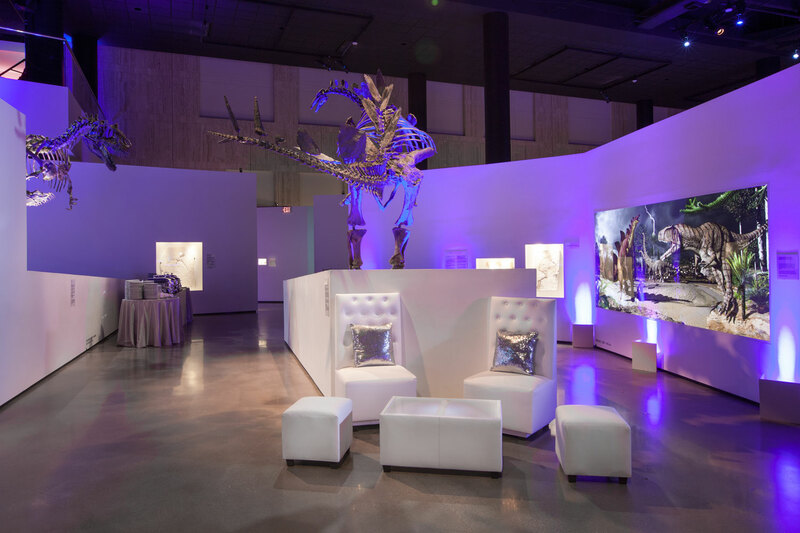 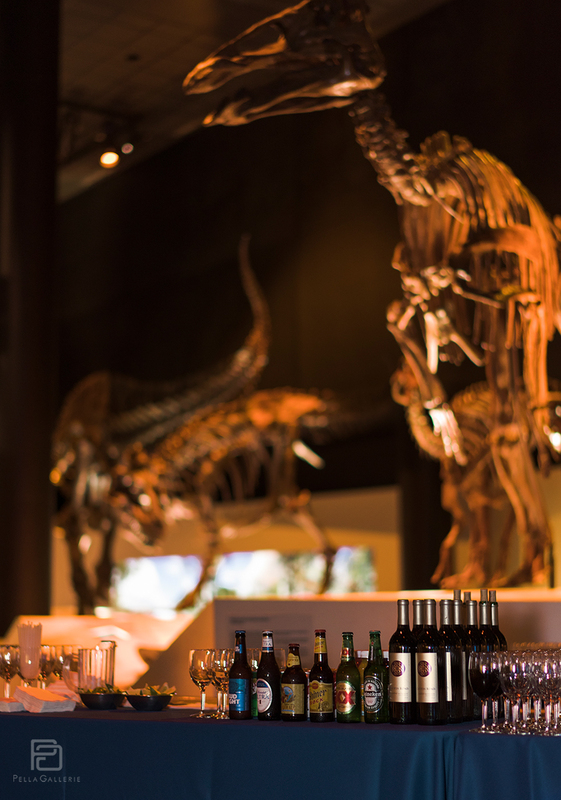 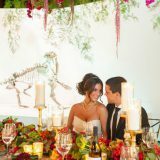 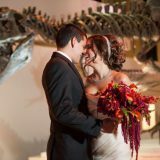 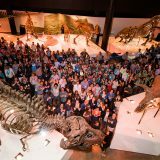 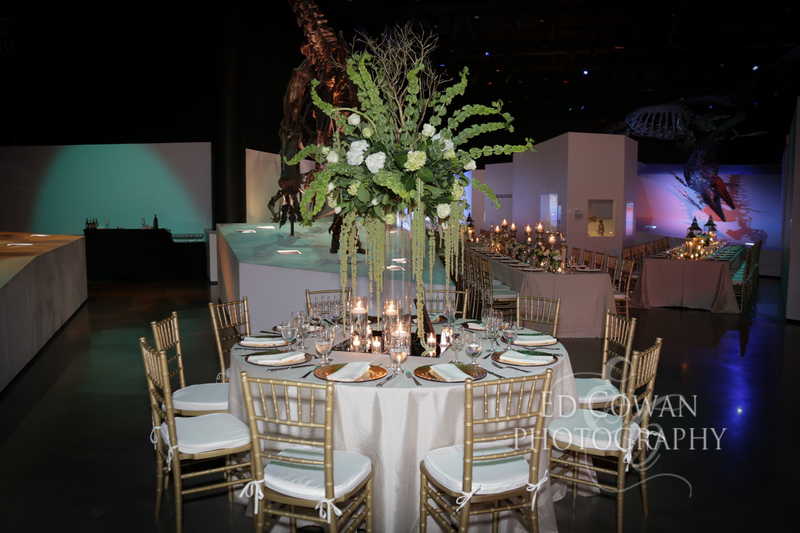 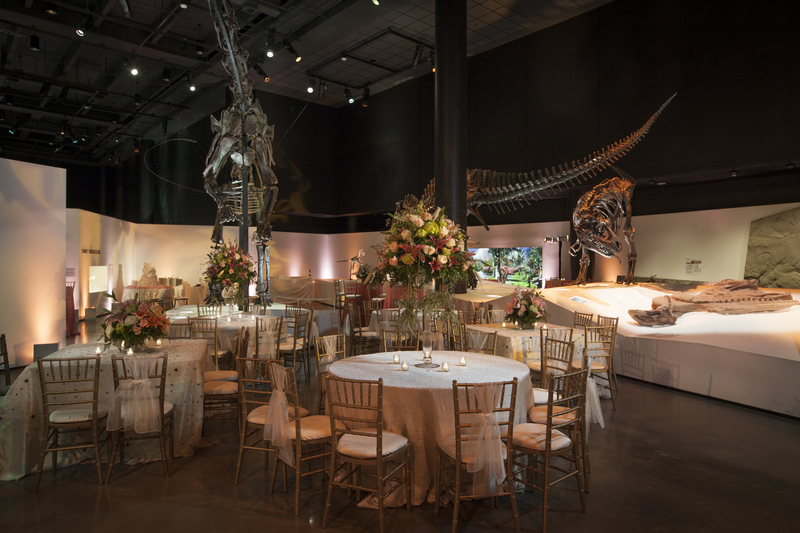 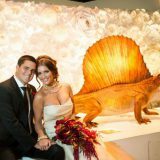 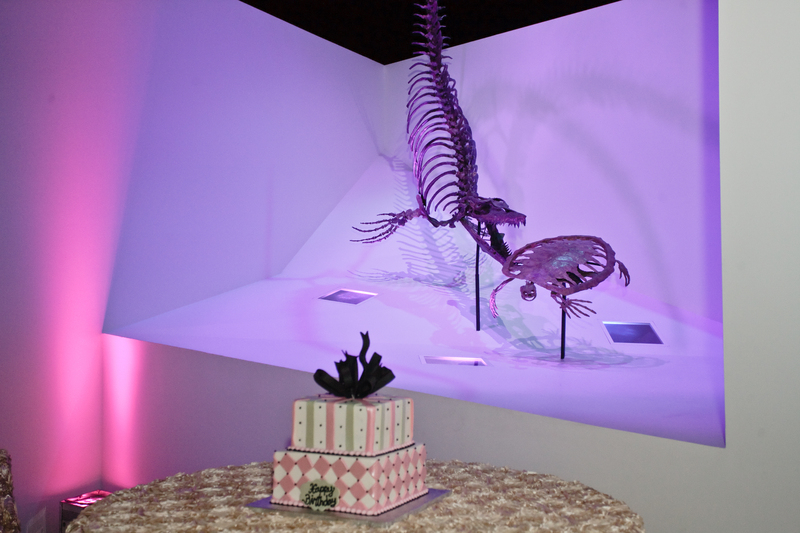 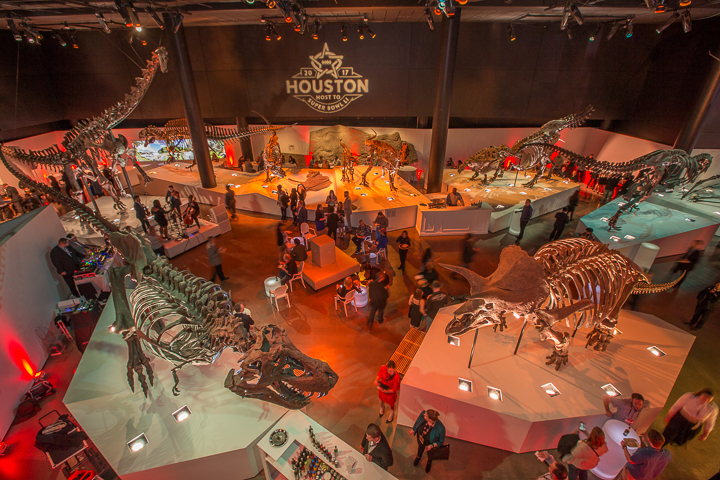 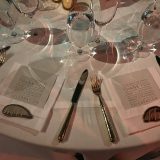 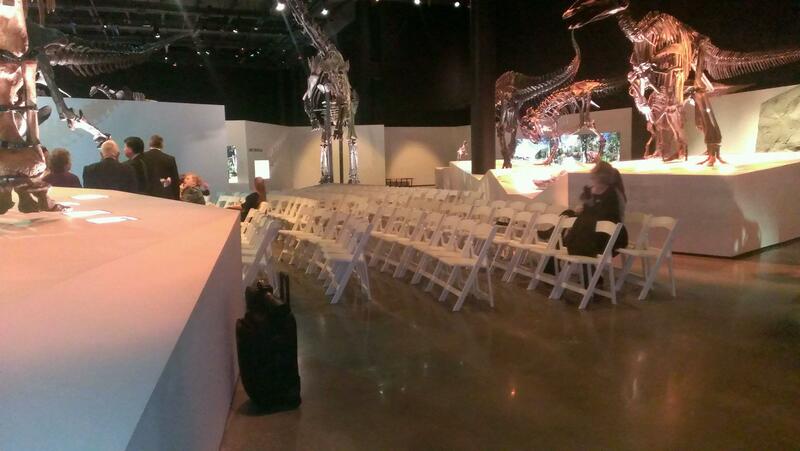 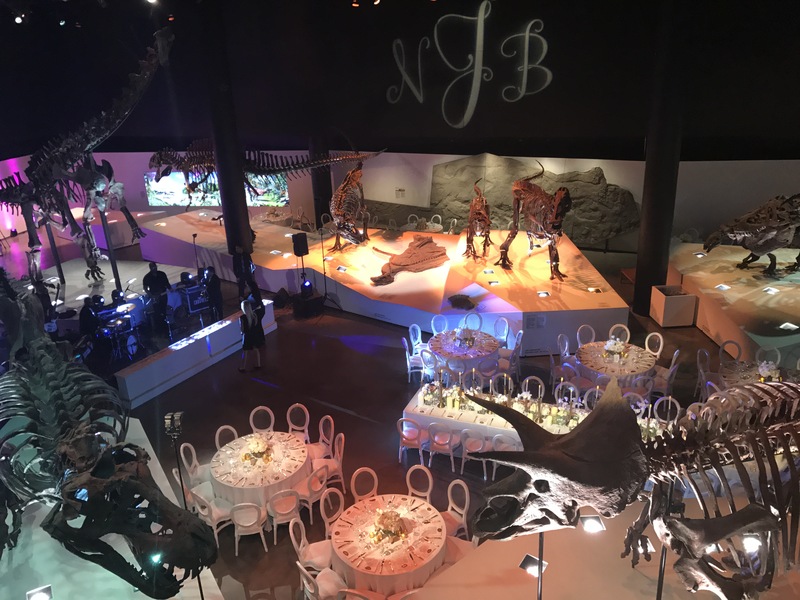 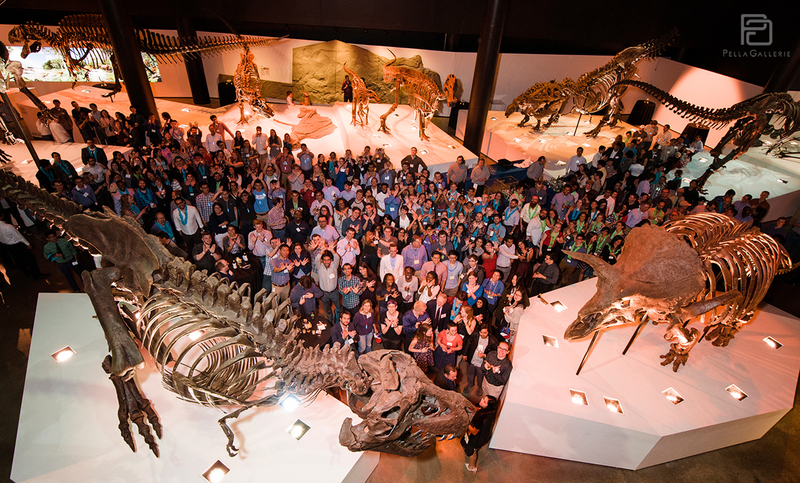 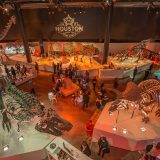 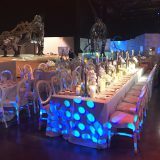 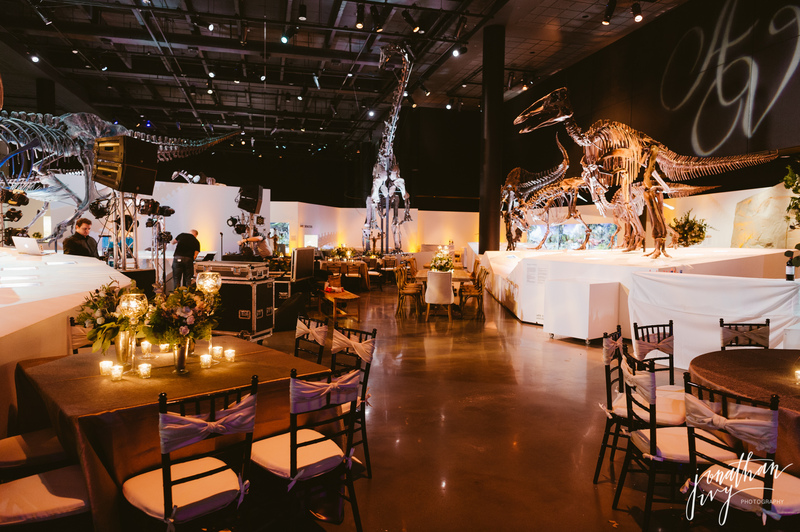 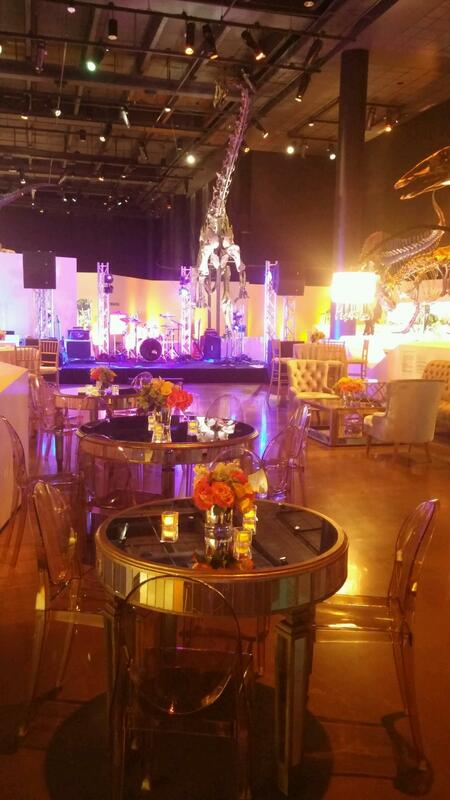 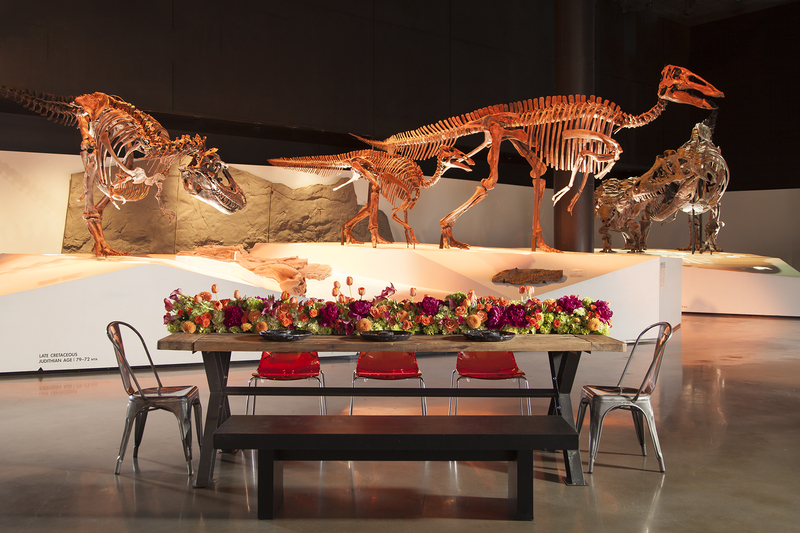 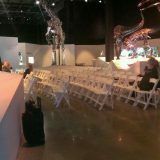 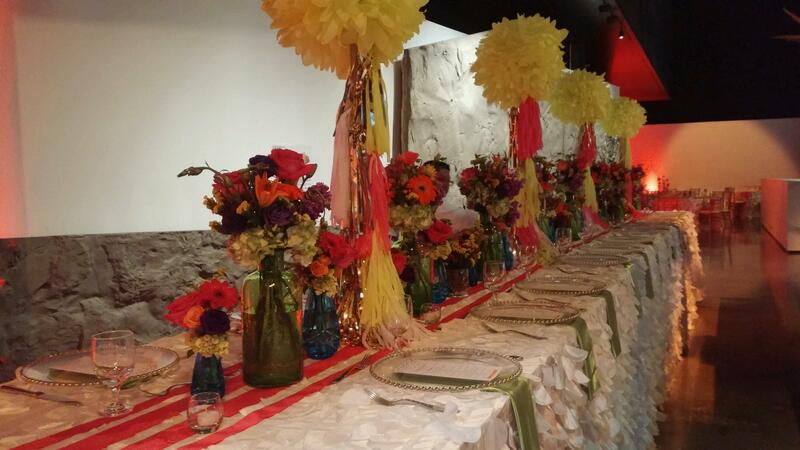 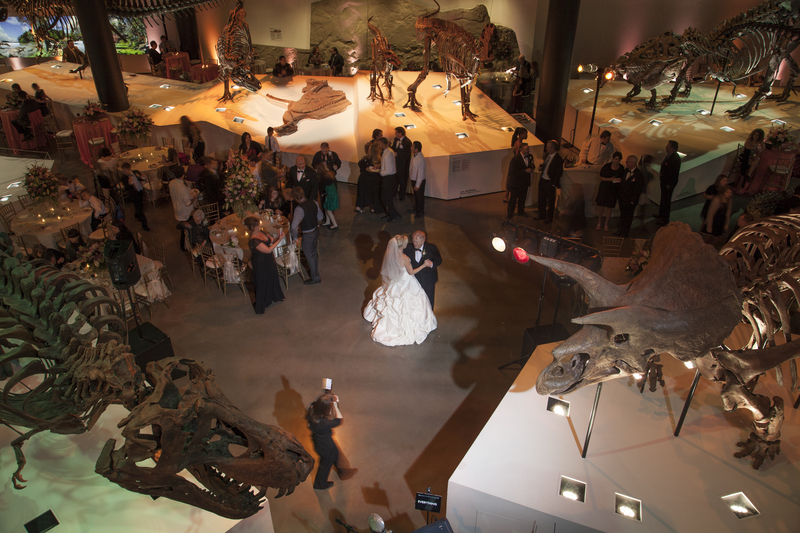 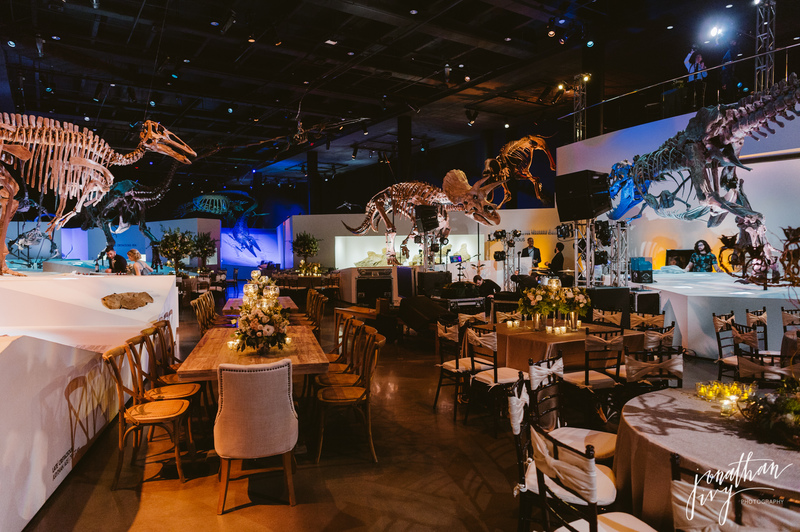 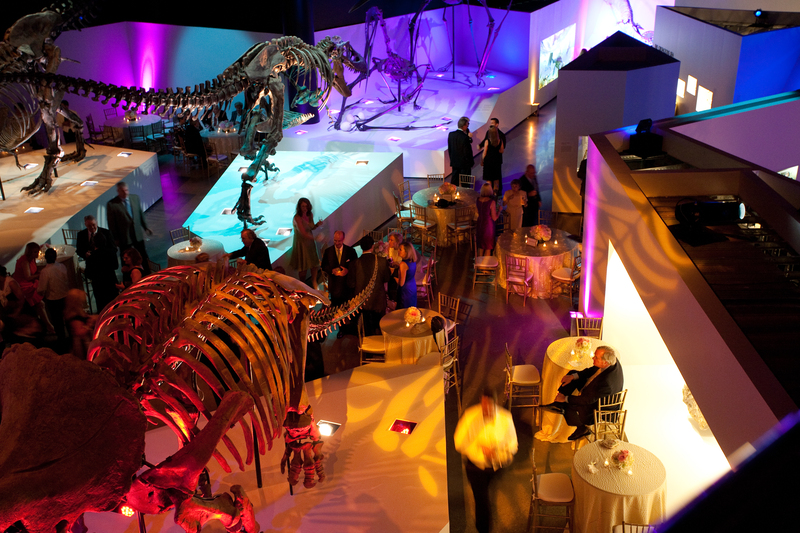 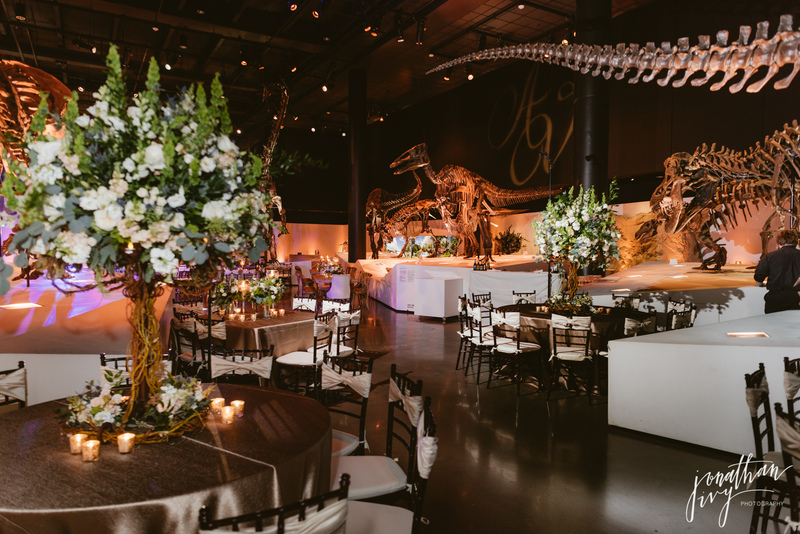 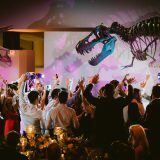 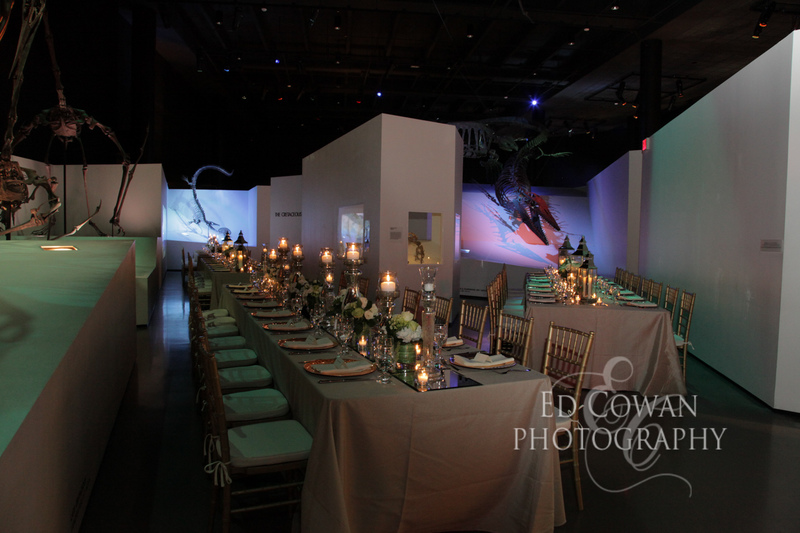 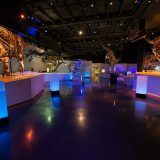 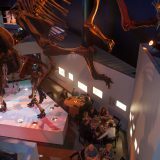 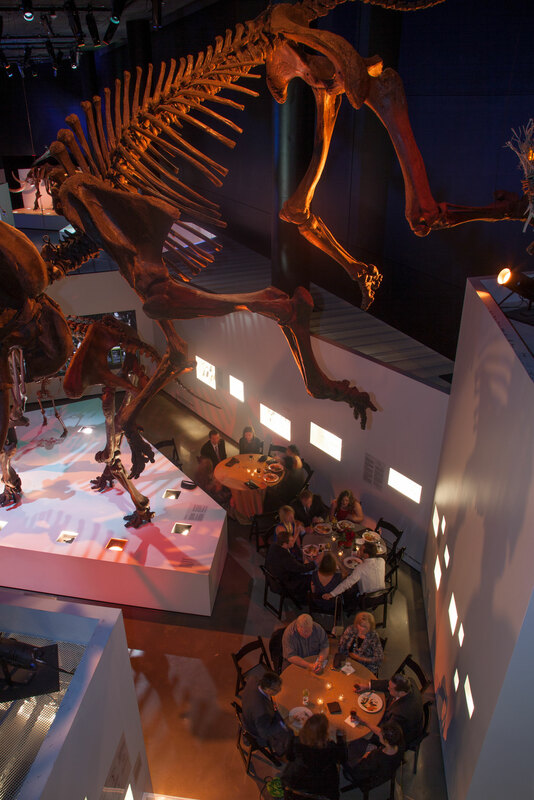 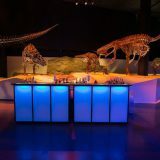 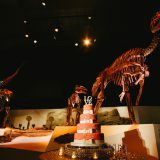 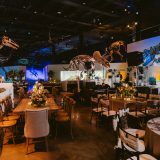 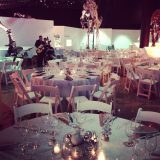 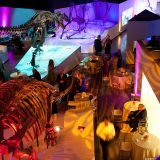 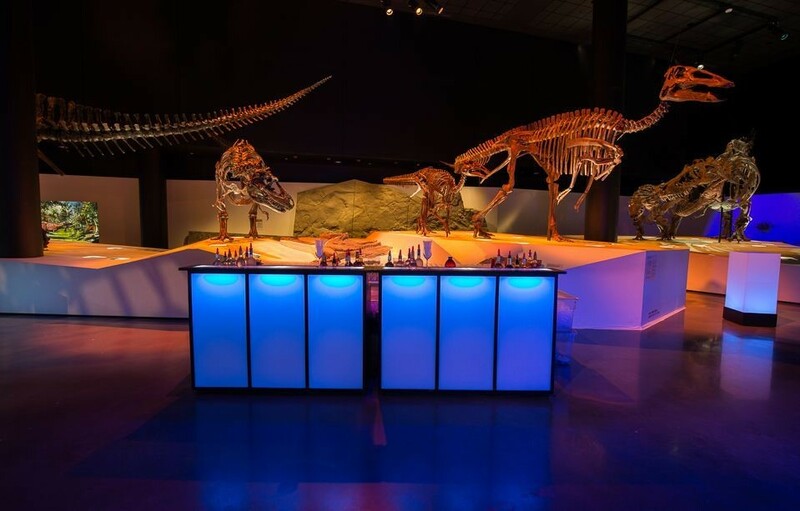 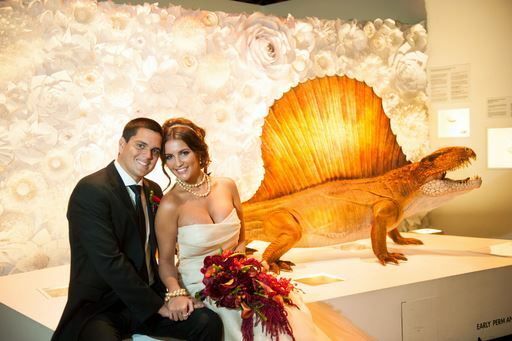 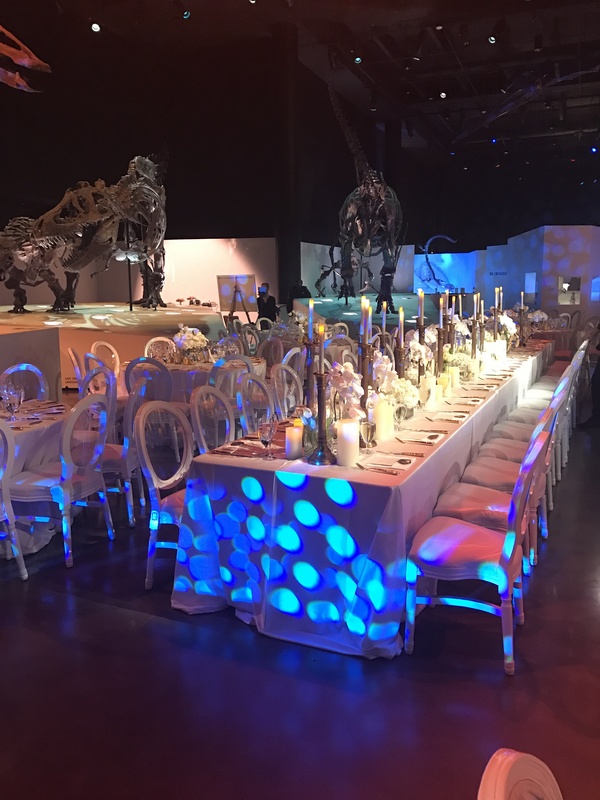 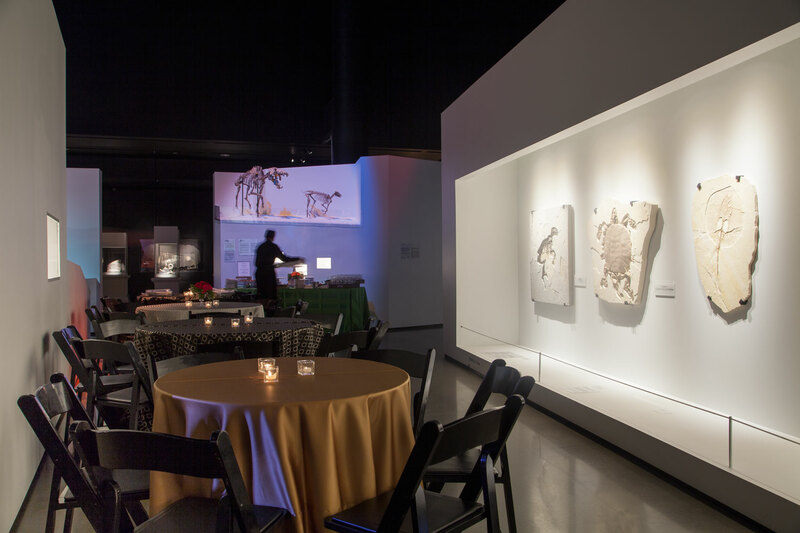 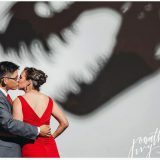 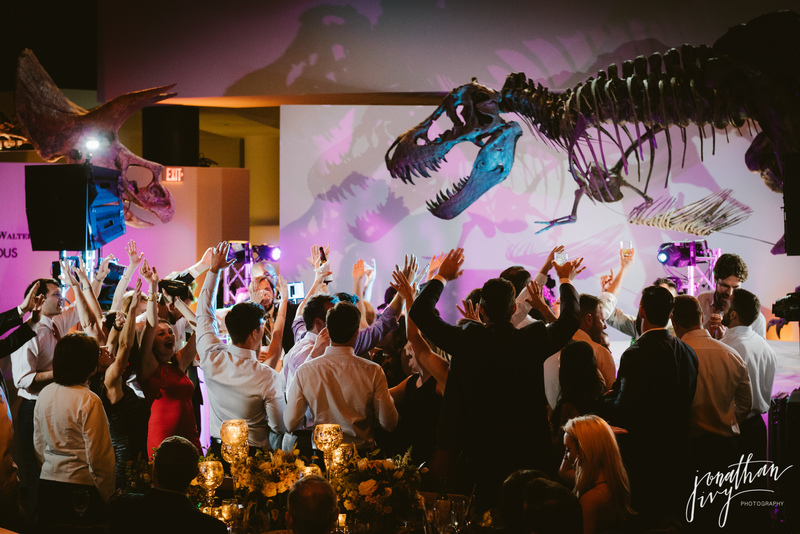 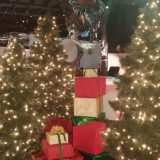 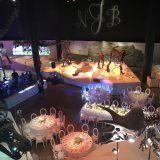 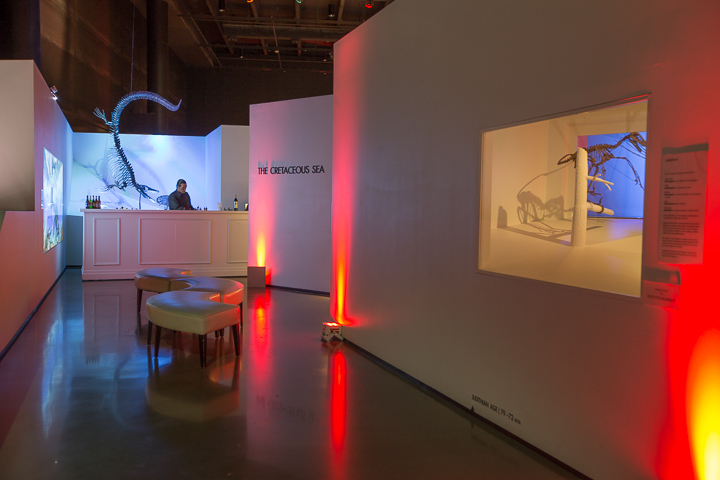 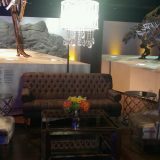 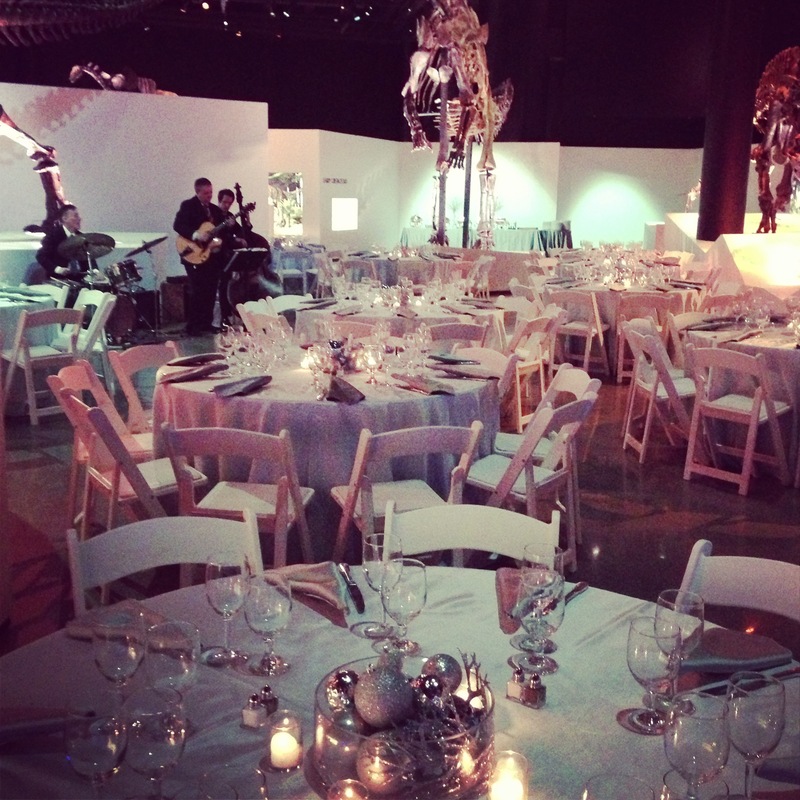 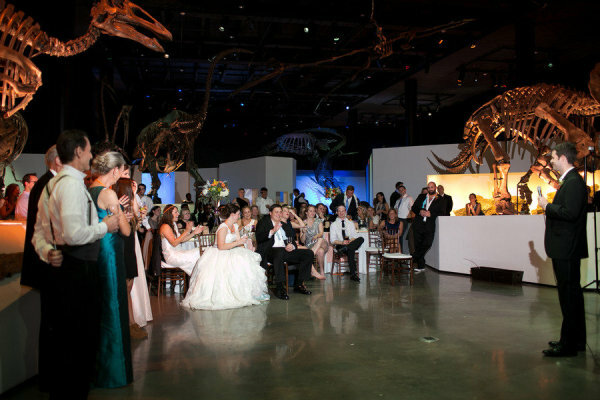 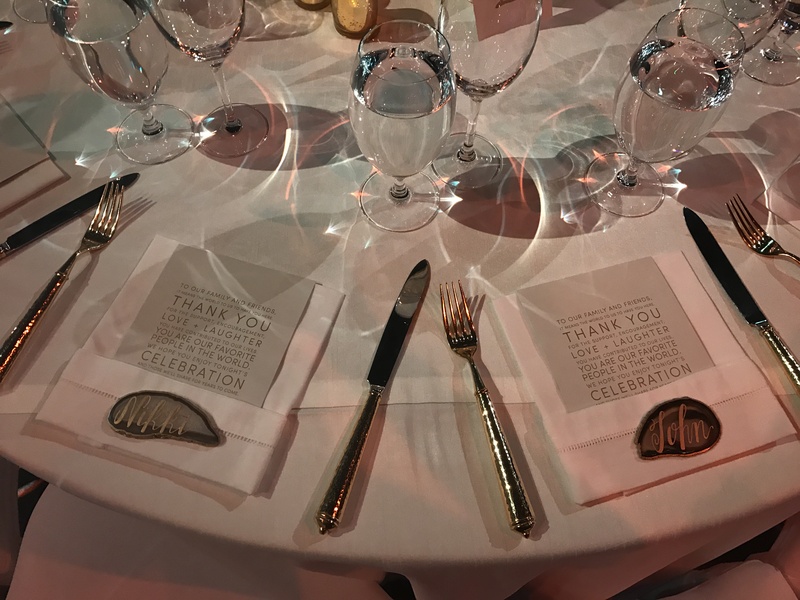 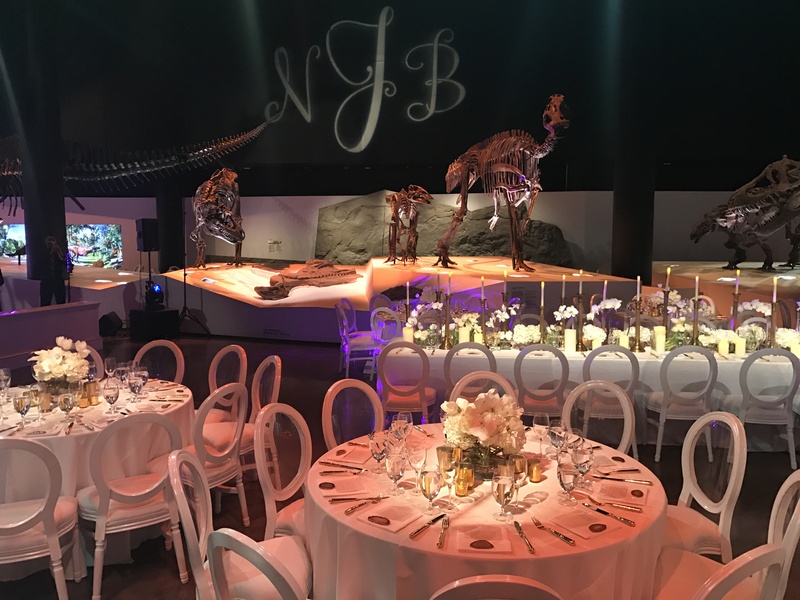 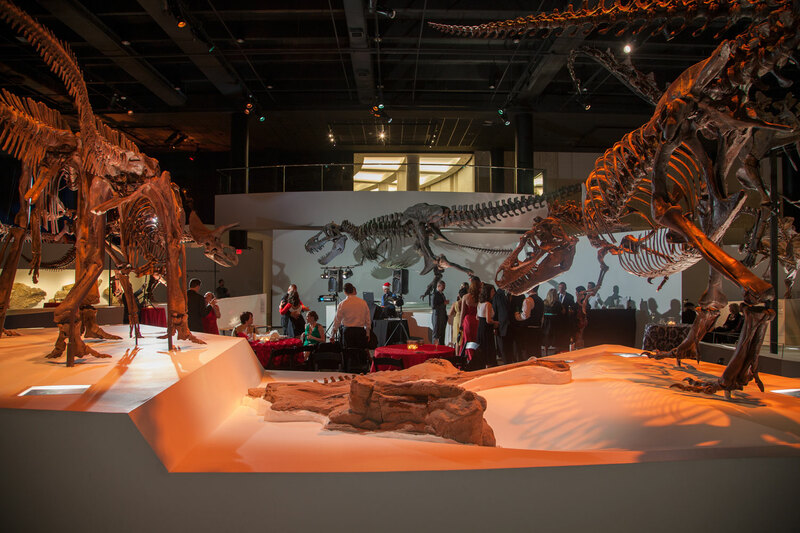 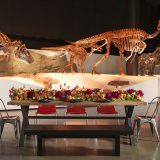 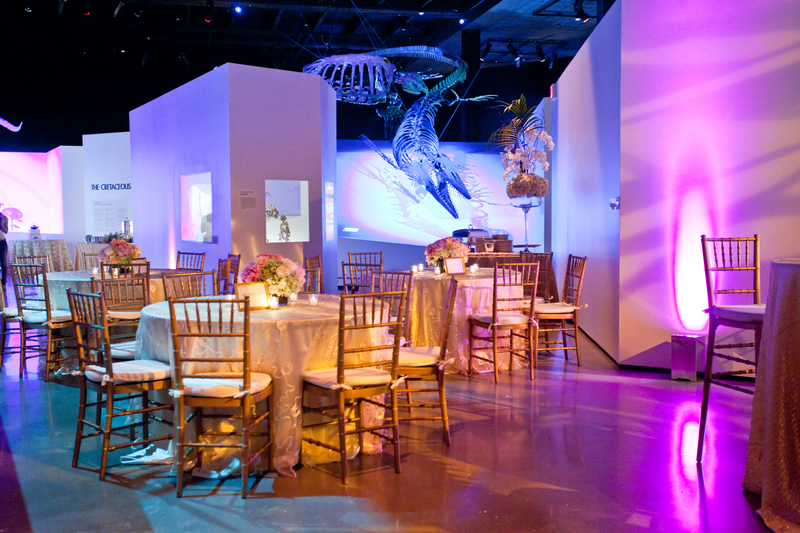 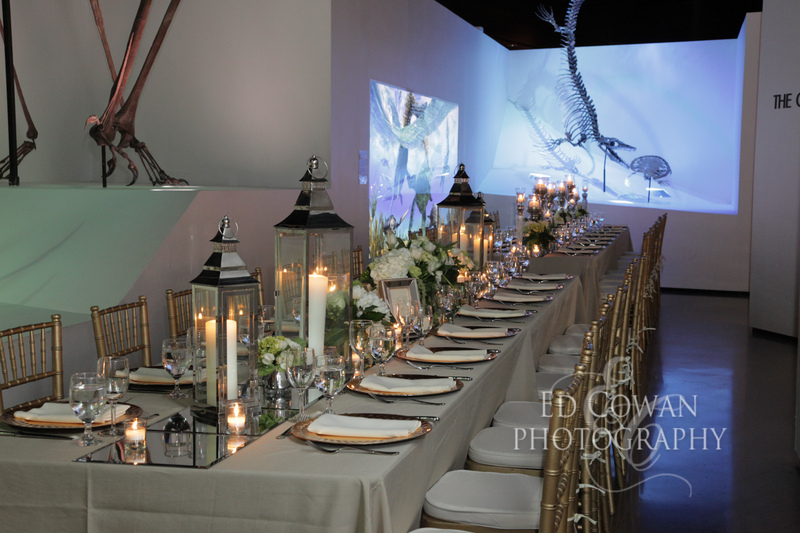 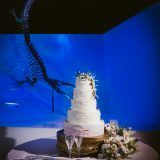 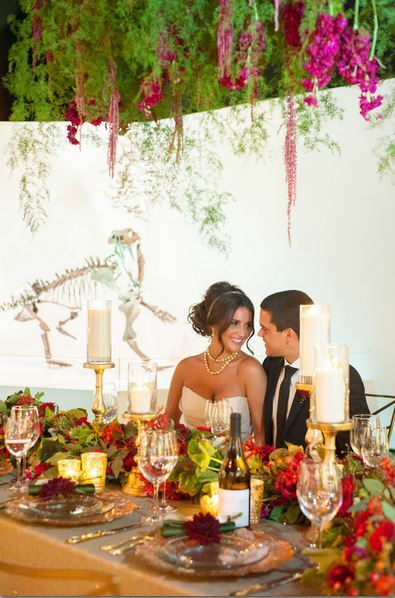 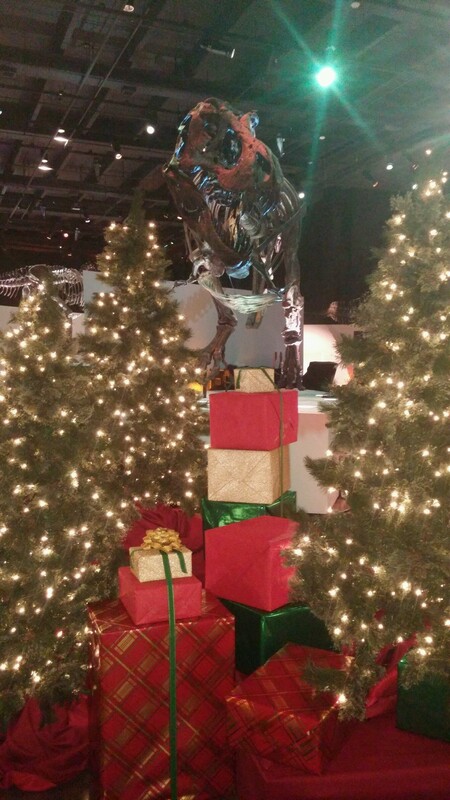 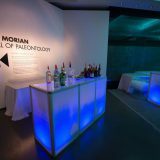 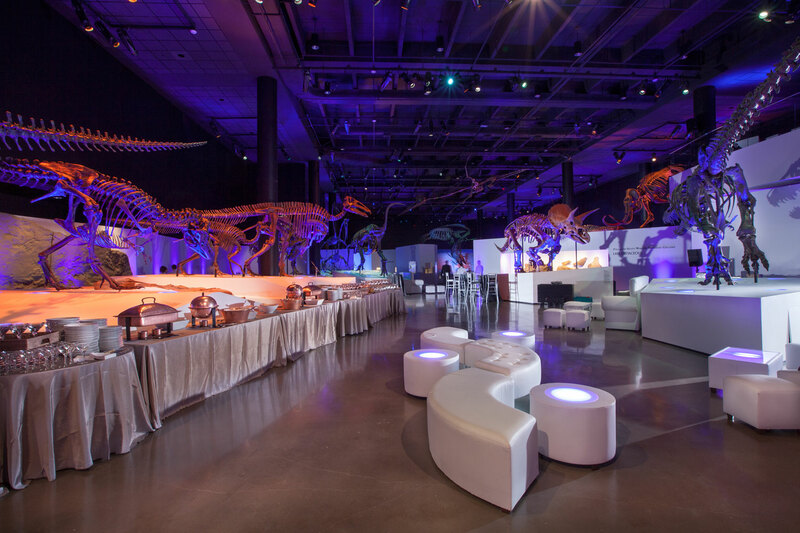 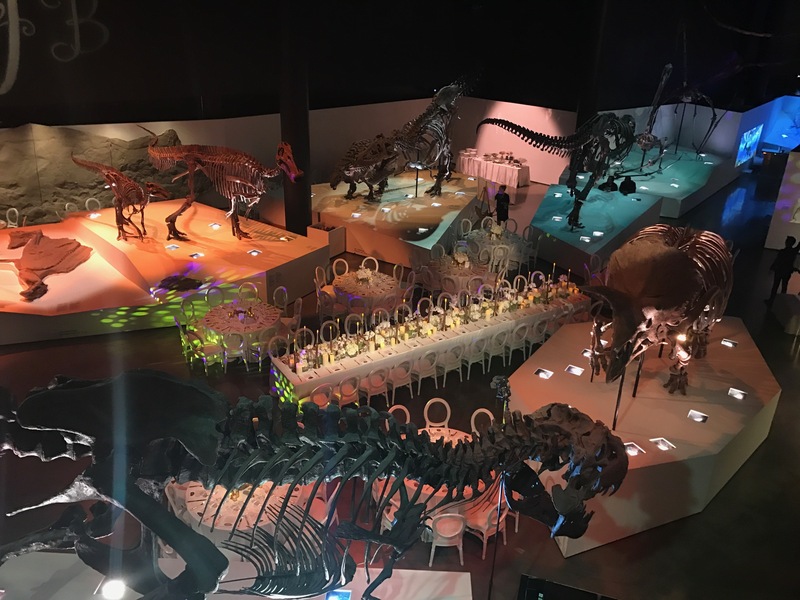 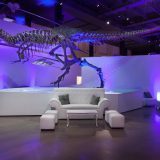 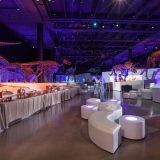 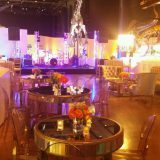 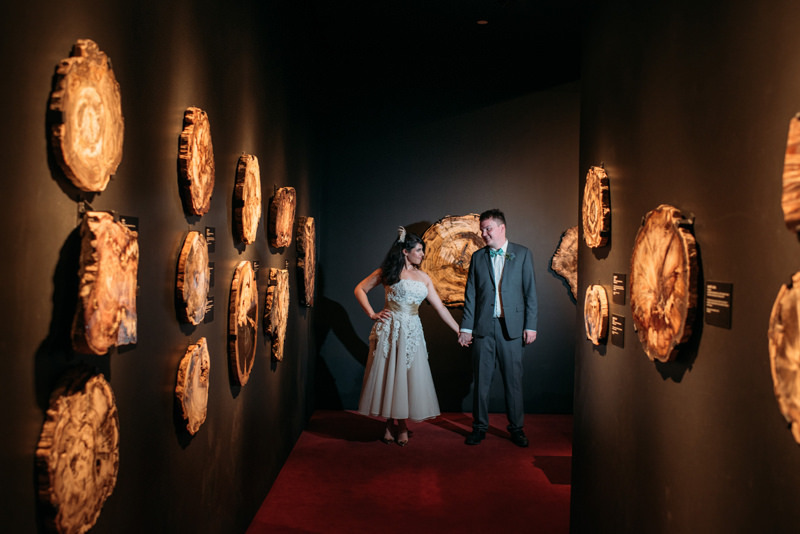 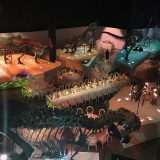 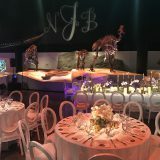 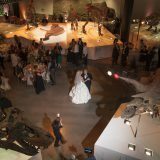 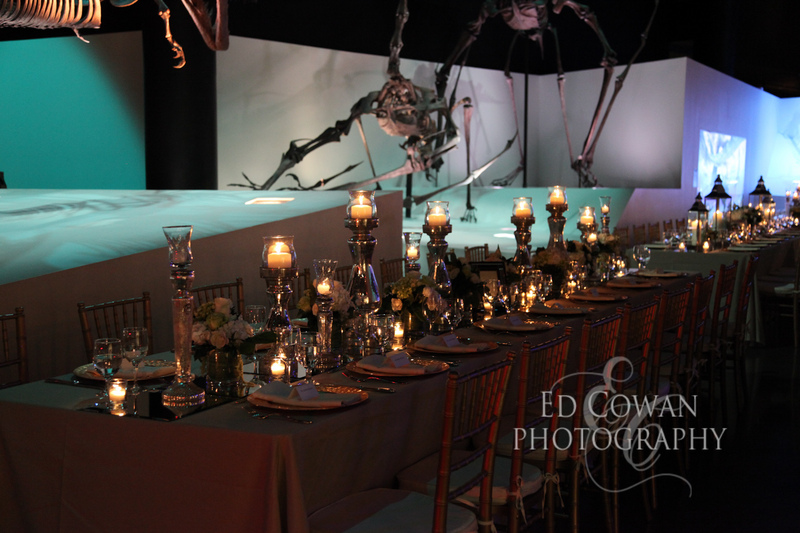 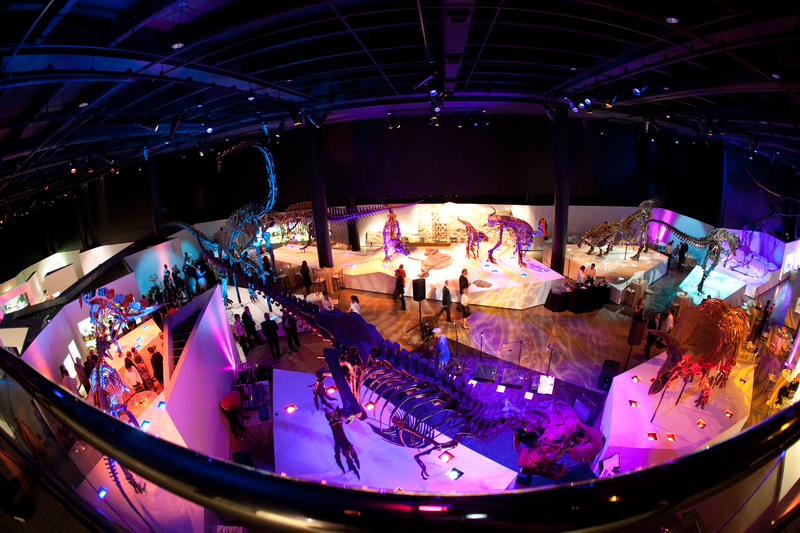 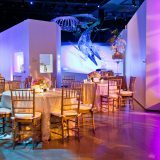 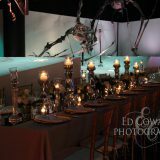 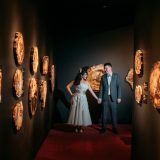 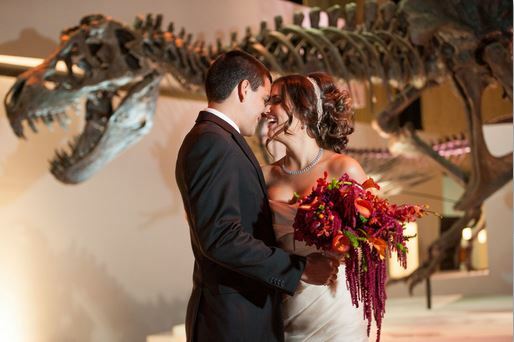 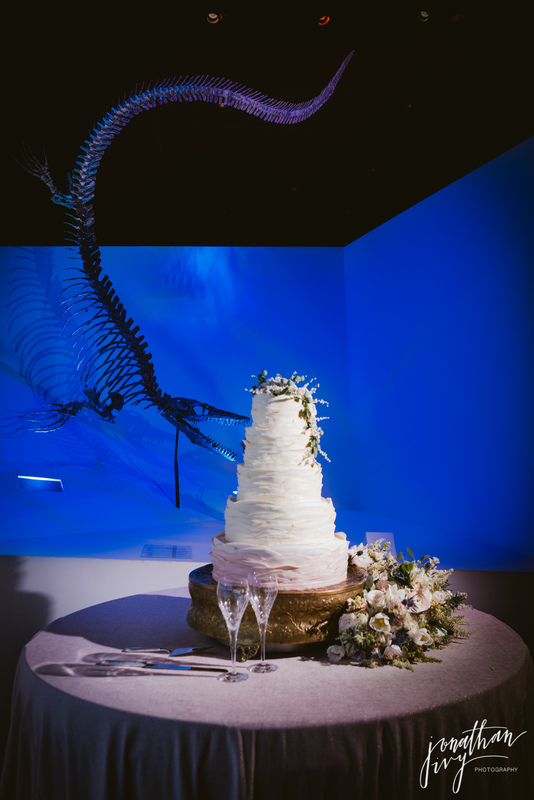 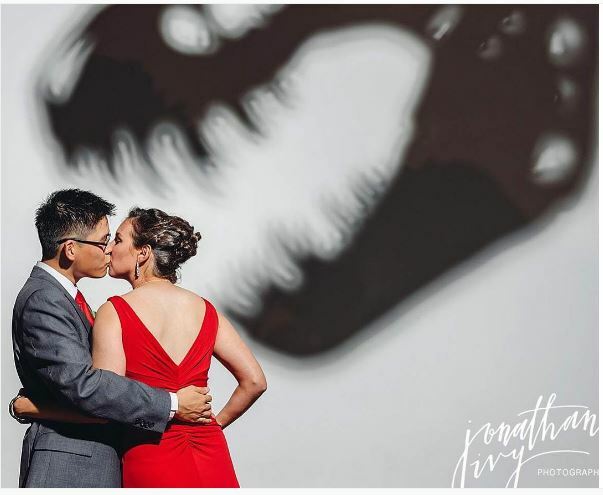 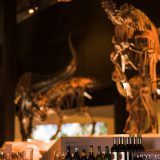 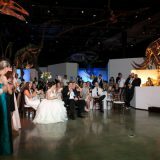 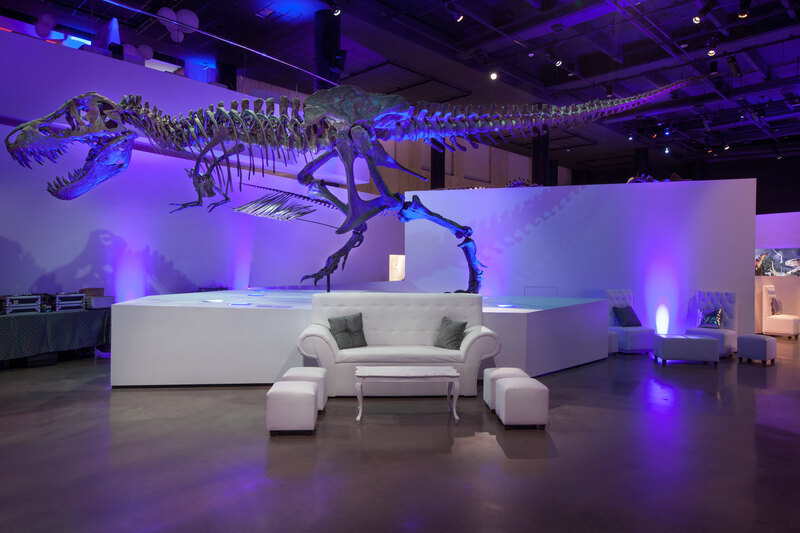 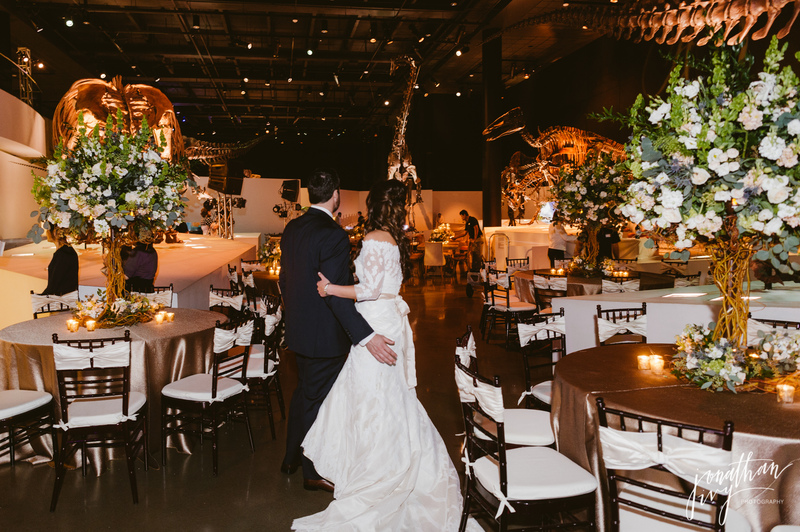 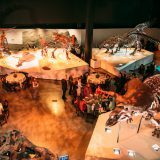 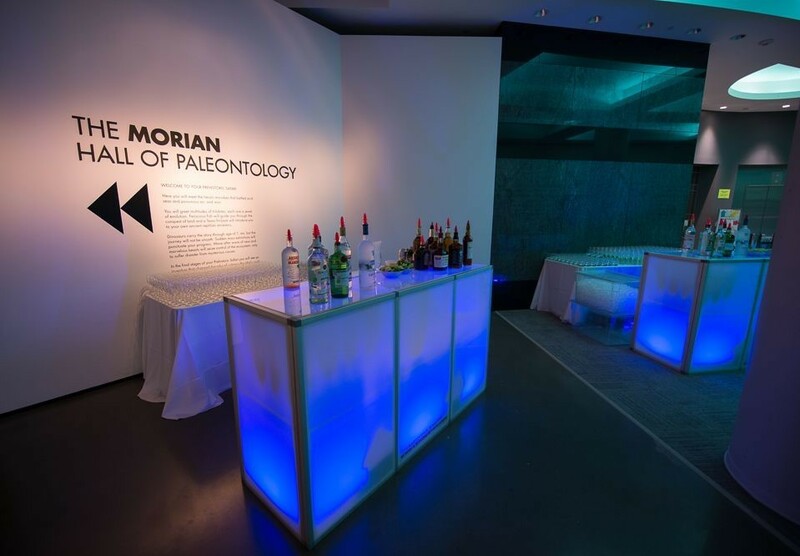 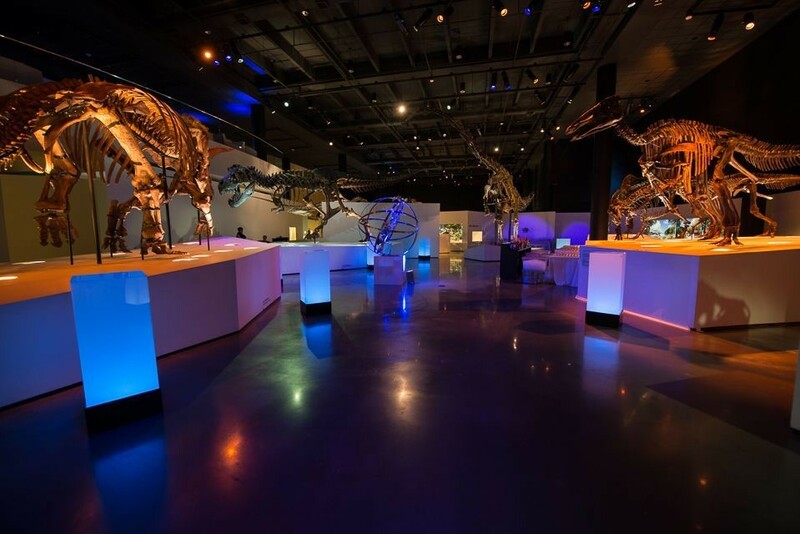 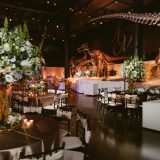 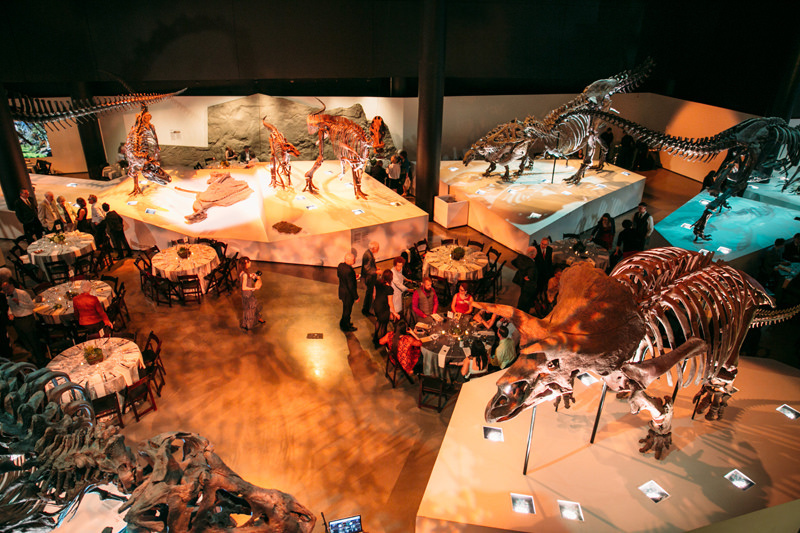 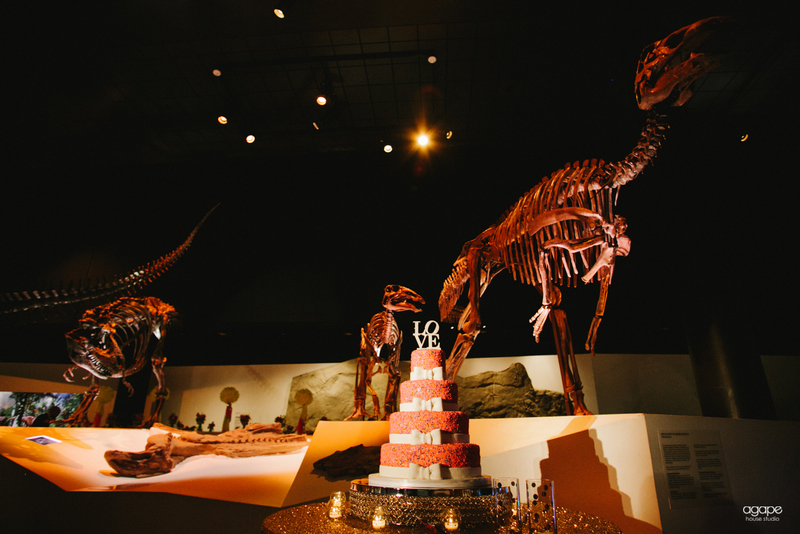 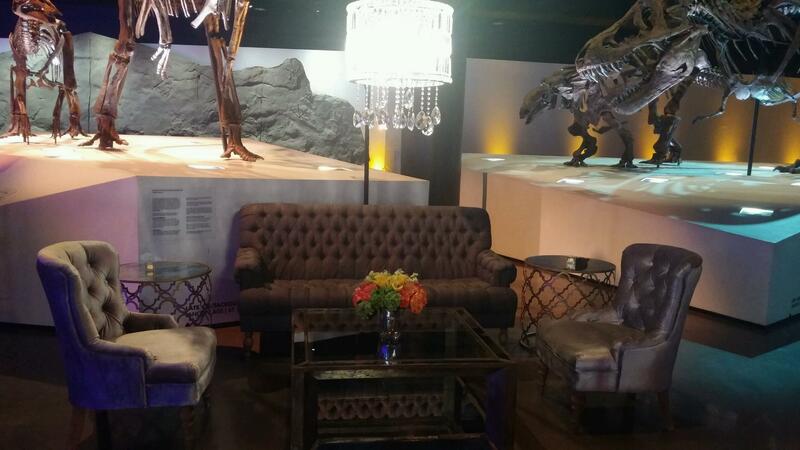 What better way to top off a party than to dine and dance with dinosaurs? 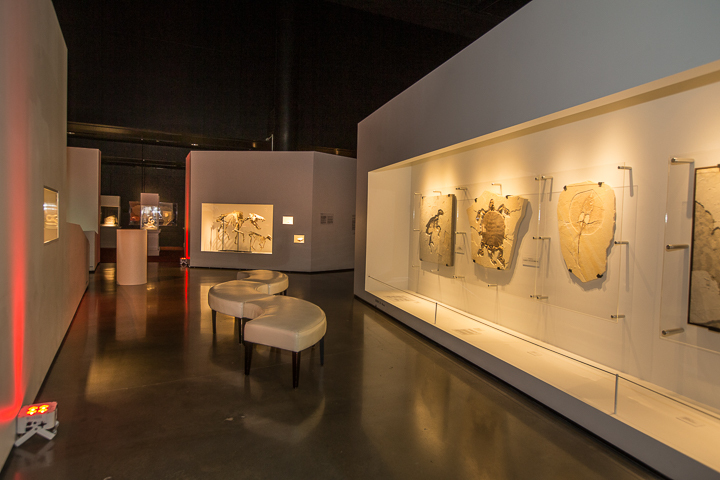 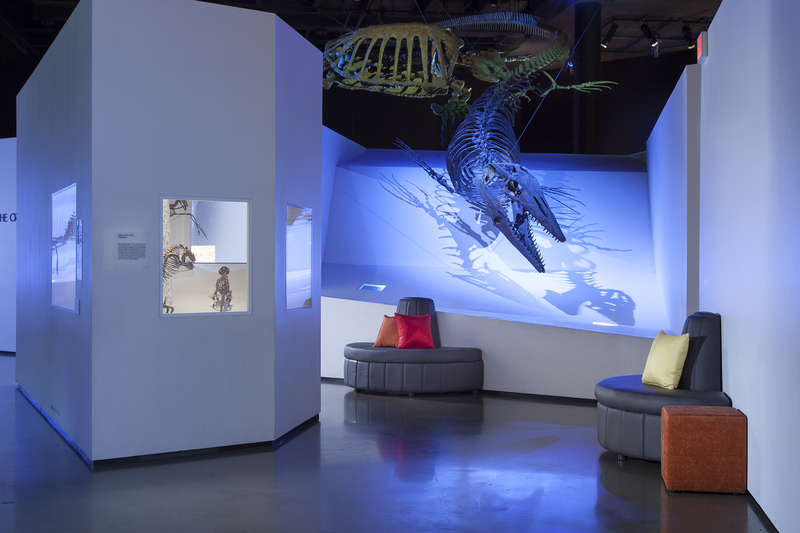 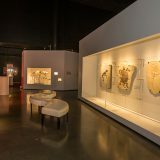 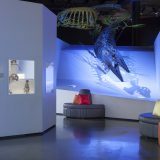 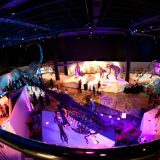 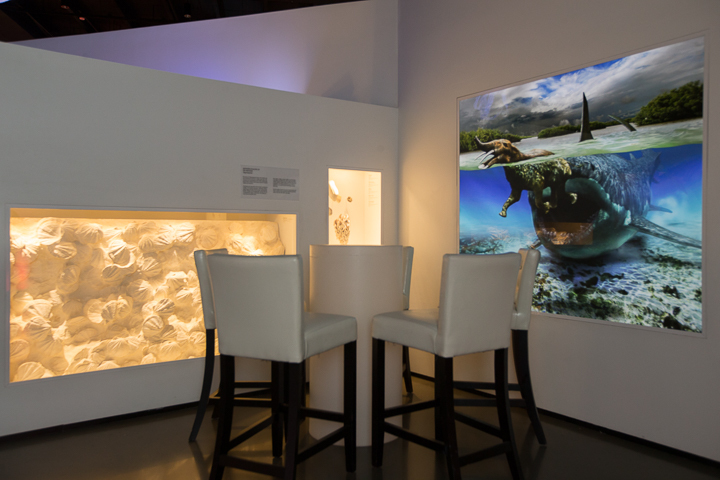 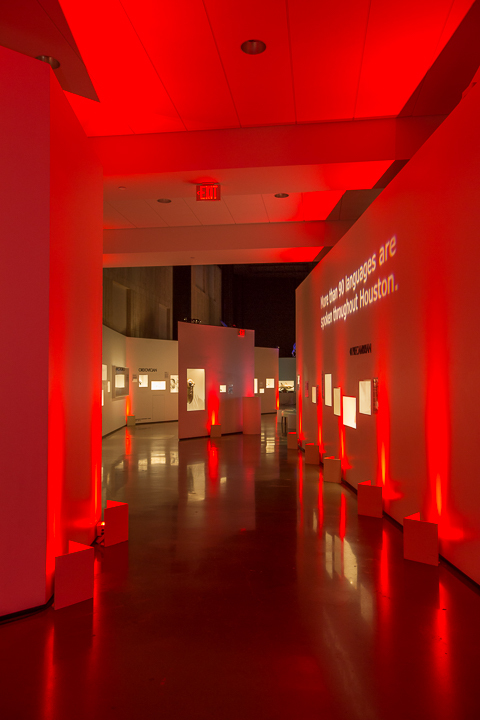 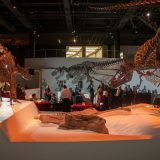 Two stories tall and the length of a football field, this new hall will invite guests embark on a “Prehistoric Safari” through exhibits with 21st century interactivity. 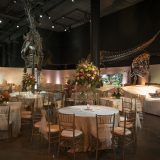 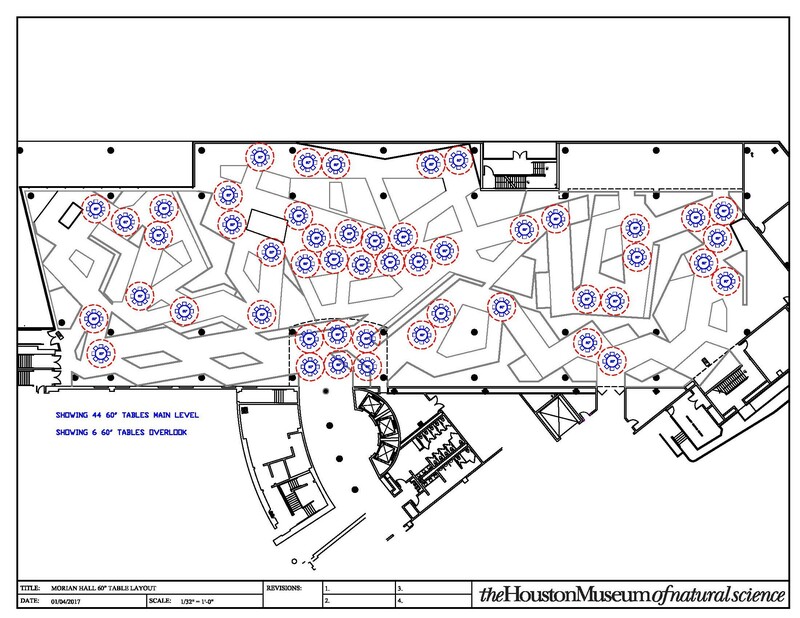 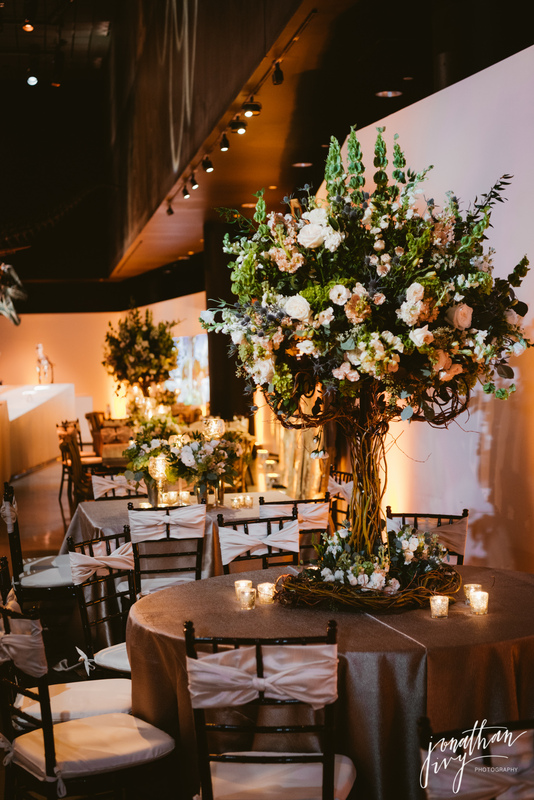 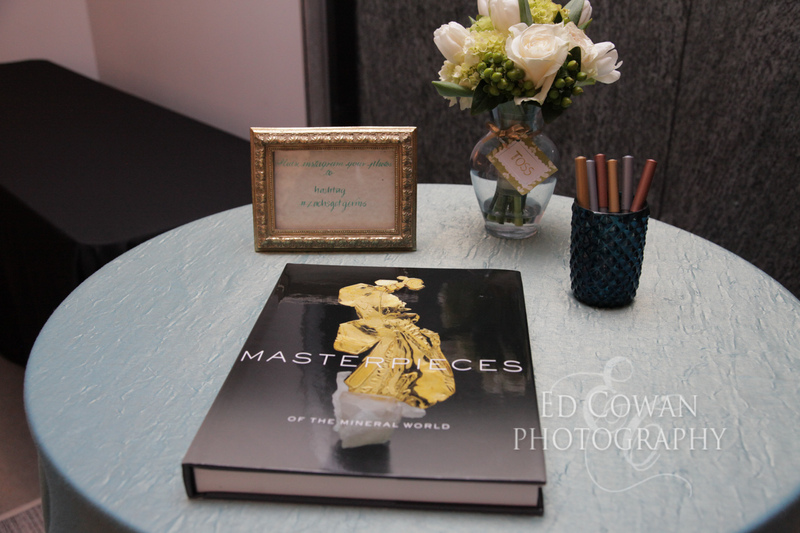 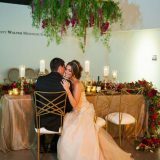 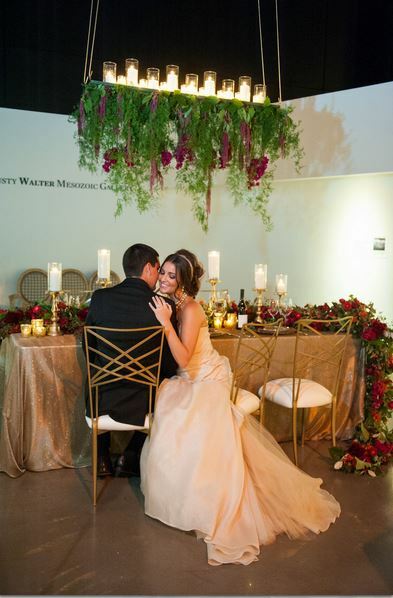 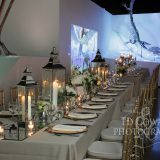 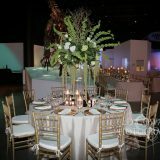 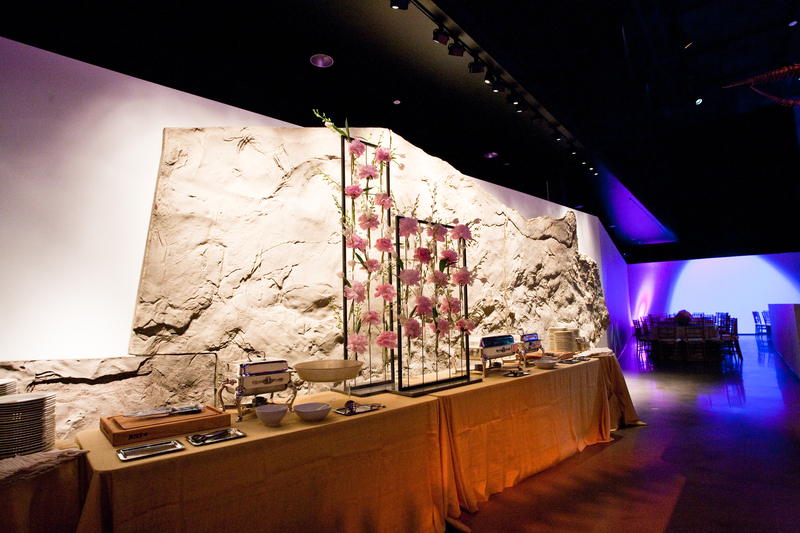 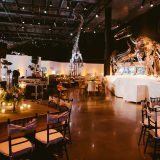 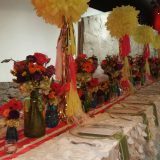 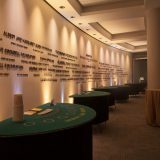 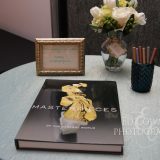 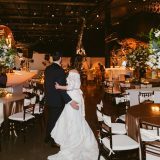 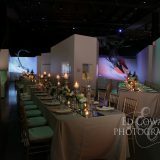 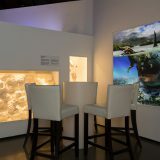 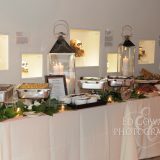 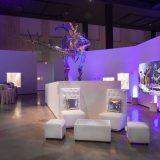 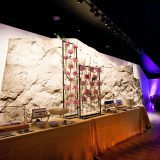 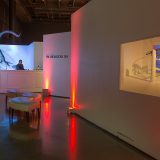 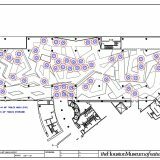 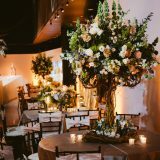 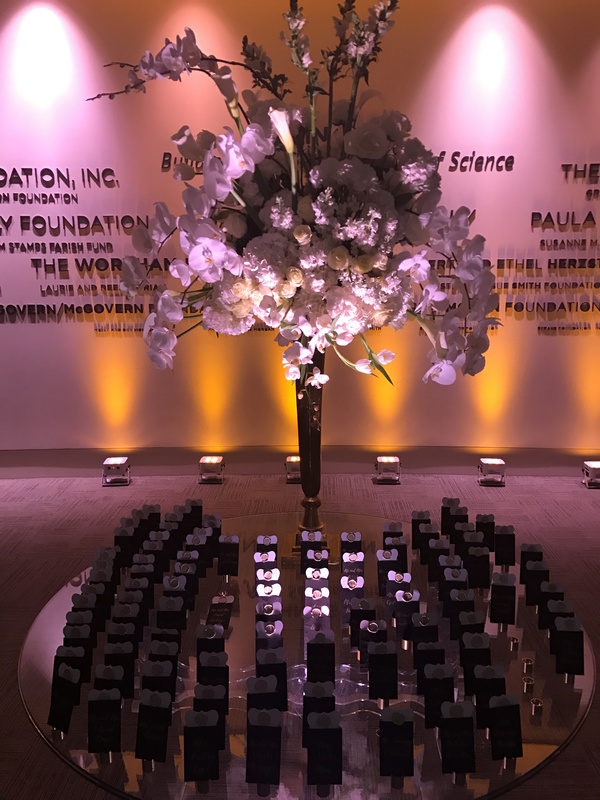 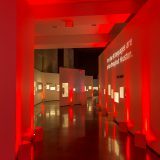 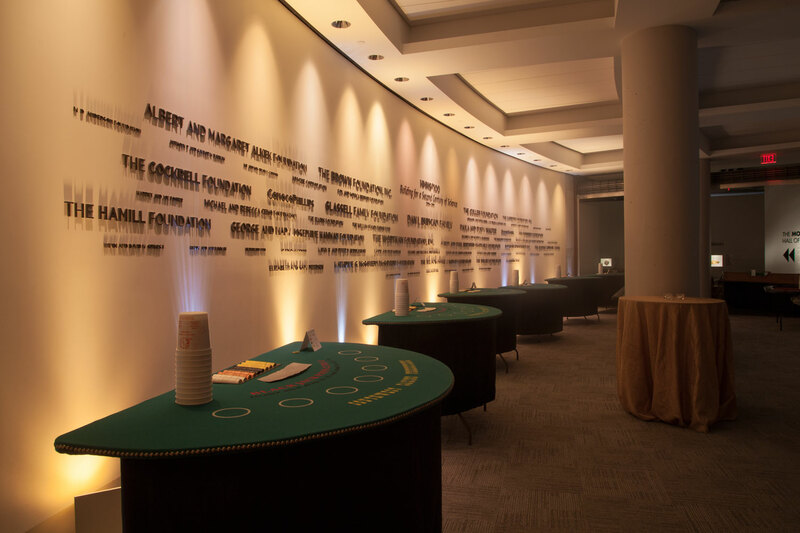 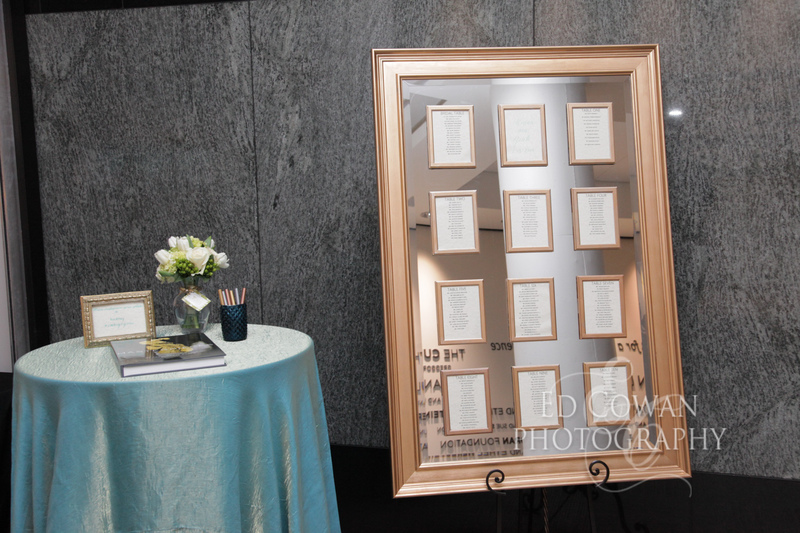 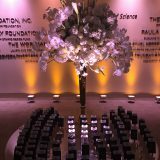 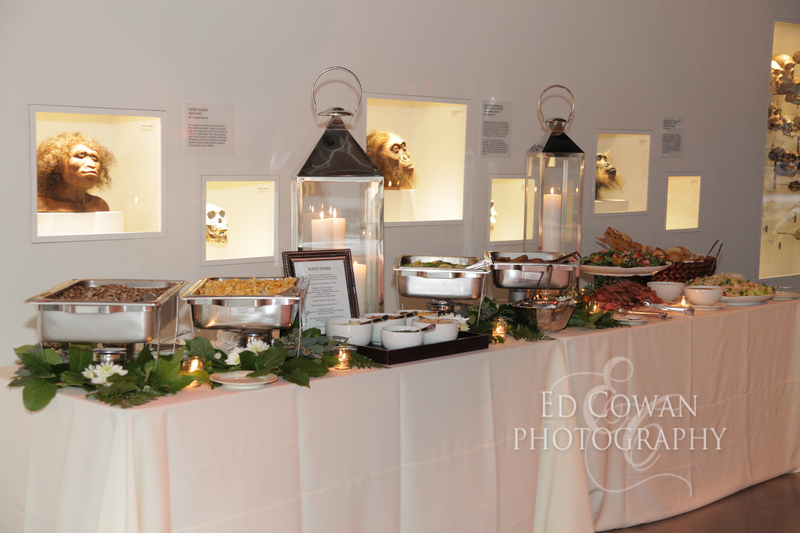 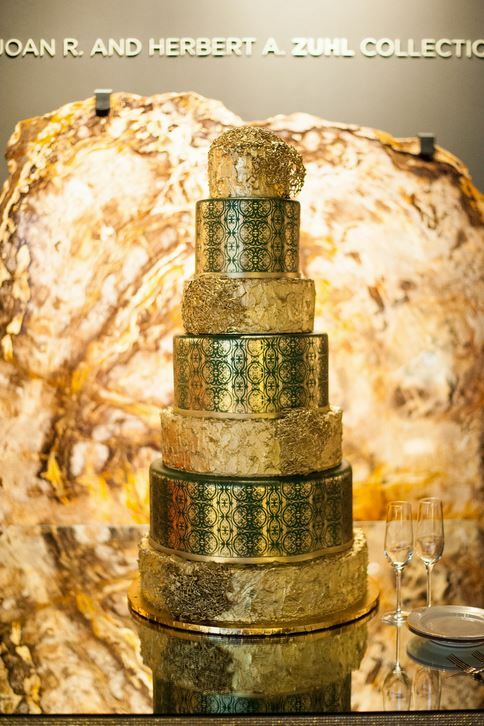 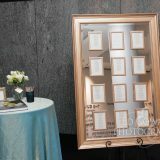 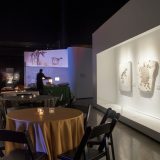 This space is perfect for adding a special touch to any holiday event, banquet, and cocktail reception.